Just caught wind of this one … While this is a place to support and embrace the denim-worshipping community, sometimes bad ones make headlines and we have to call it out. Katy Perry walked the red carpet at tonight’s MTV VMAs in this number. 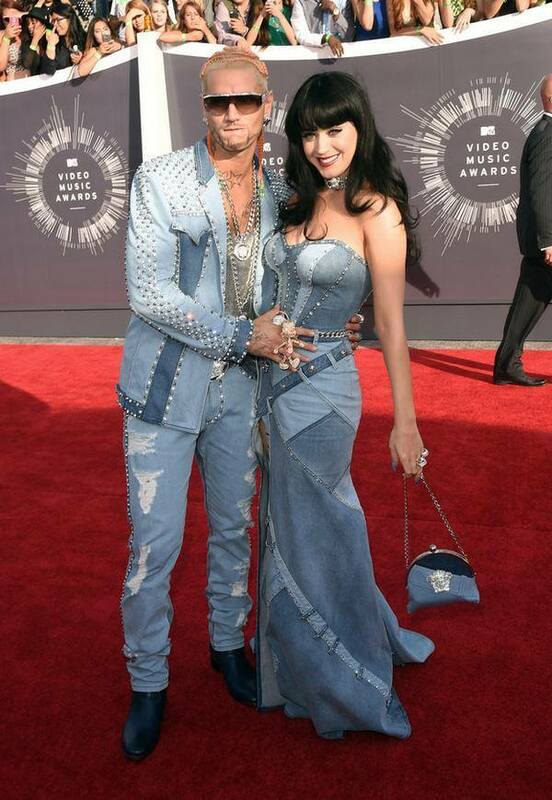 We love Katy, despite some questionable wardrobe choices (tonight being the most recent), but seriously … was this a joke? Was she not Wide Awake when she got dressed? 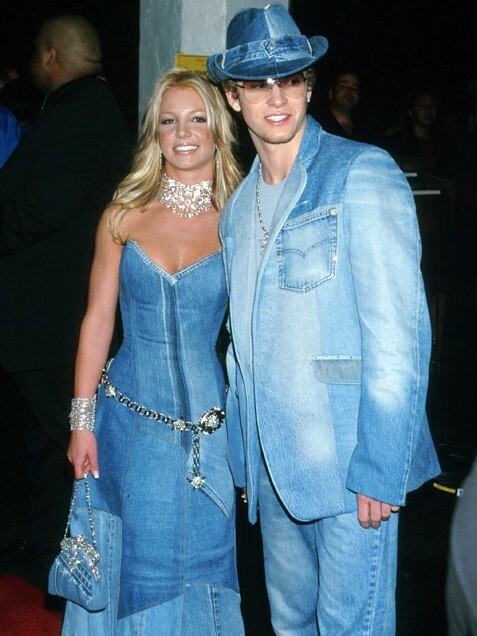 Was it a throwback to the ever-mocked Britney/JT denim disaster, or are they trying to top it? If it’s the latter, we may have a winner. Regardless of fashion sense – or lack thereof – we love Katy and the message she sends out to young women and little girls. She’s a firework, and we’re forever grateful. This entry was posted on Sunday, August 24th, 2014 at 7:00 pm	and tagged with Britney Spears, Canadian Tuxedo, Denim, double denim, Justin Timberlake, Katy Perry, MTV, Video Music Awards, VMAs and posted in In The Wild, Music. You can follow any responses to this entry through the RSS 2.0 feed.